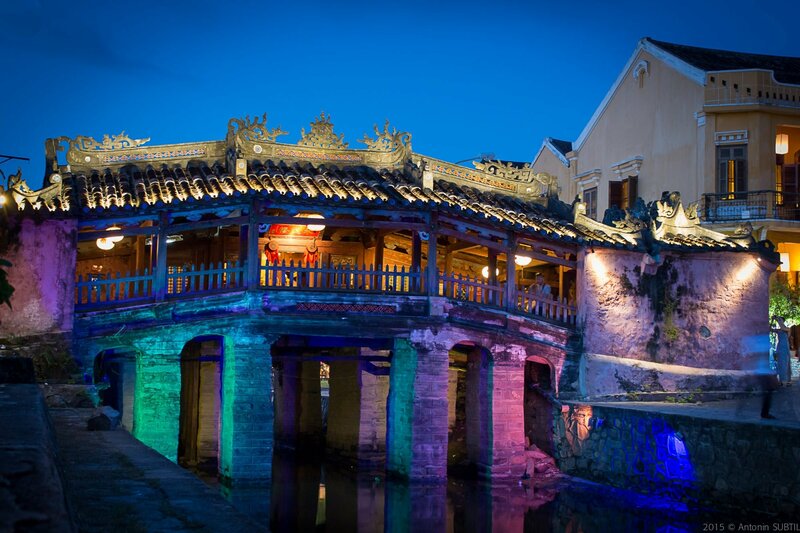 Hoi An is the only ancient town in Vietnam that has remained mostly unchanged throughout history. 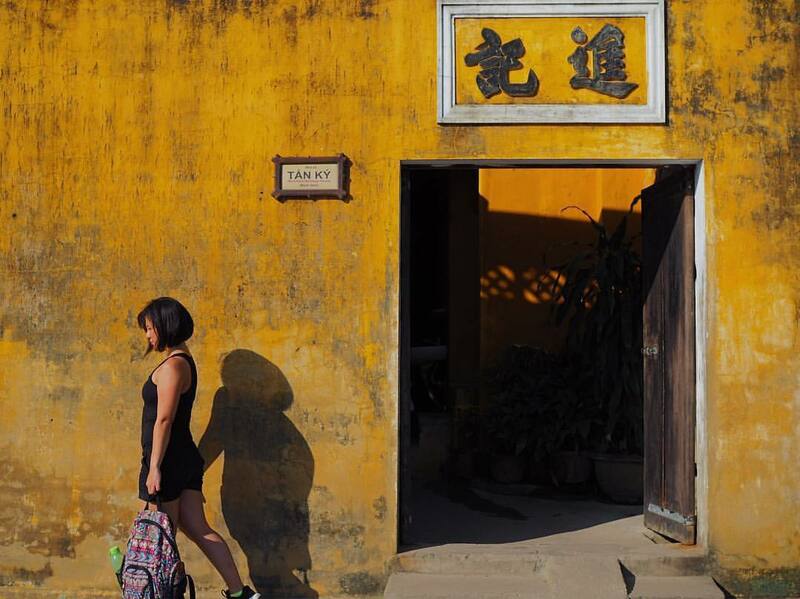 If you fall in love with an old atmosphere, a tranquil environment, and the nostalgic designs of charming houses, Hoi An is the best destination to visit in Vietnam. 400 years ago, Hoi An was a crowded port and therefore the intersection of Eastern and Western cultures. The city of Quang Nam province, which is located in Central Vietnam, has harmonized the cultural essence of China, Japan, Vietnam, and even Western countries, especially in cuisine and architecture. If you just wander around the ancient town, it’s totally free. However, if you want to visit some particular places (like the places I will mention below), you have to a buy ticket. For foreigners: 120,000 VND per person for five optional places. 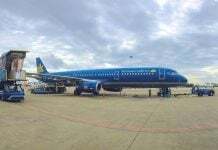 For Vietnamese: 80,000 VND per person for three optional places. This house was built in the late 19th century, which means it is more than 200 years old. Tan Ky house was home to the Le family and it has been maintained through seven generations. 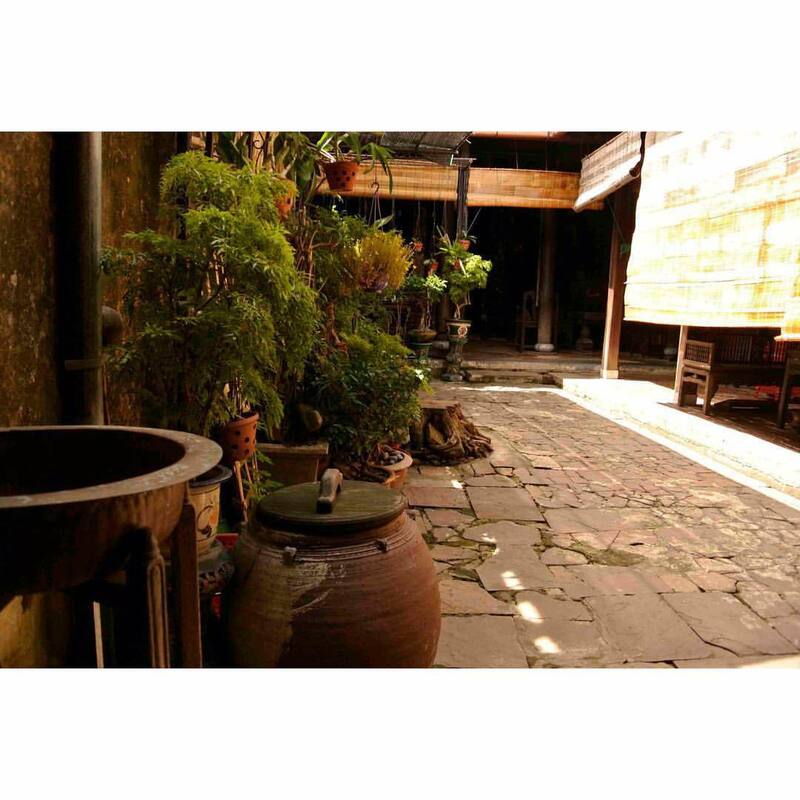 It is said that Tan Ky house is the most beautiful and artistic ancient house in Hoi An, it even stores many precious antiques. The main material is wood and the great carpenters of Kim Bong village created the beauty of Tan Ky house by combining the architecture of Vietnam, China, and Japan. Quan Thang ancient house is more than 150 years old and it was built based after the architecture of China at that time. 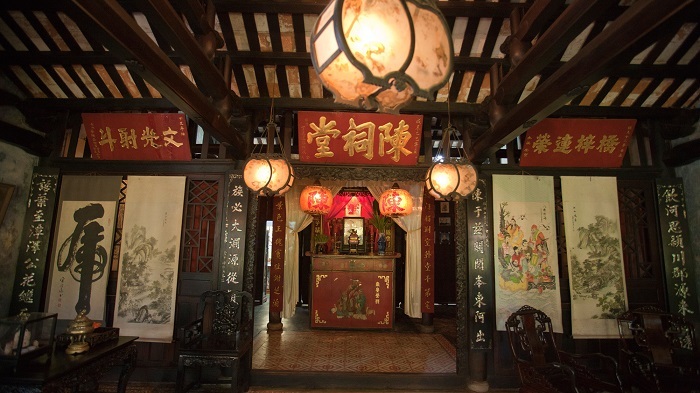 After more than one and a half centuries, Quan Thang house still remains intact, the architecture and furniture, which shows visitors the life of the contemporary upper class in Hoi An is still there. Like Tan Ky house, all of the wooden structures of Quan Thang house were made by Kim Bong artists. This more-than-100-year-old house was recognized as part of the national heritage in 1992. The architecture of Phung Hung house again combines traditions from China, Japan, and Vietnam. The door and the balcony system were invented by the Chinese. The roof over the middle section of the house, which is the mai tu hai, meaning four seas roof, was inspired by Japan. The Vietnamese appear in the pillars, girders, and the front roof. The first owner of this house was a Vietnamese trader, and his successors have still preserved this house to this day. 200 years ago, there was an officer under the Nguyen dynasty, whose name was Tran Tu Nhac. He was a good officer and entrusted by King Gia Long. In 1802, the King sent him to China as an ambassador. Before the trip, he built this temple to worship the ancestors of the Tran family. His successors have continued the work of worshiping the ancestors up until now. This temple has the old characteristics of a Vietnamese temple, representing the respect and love toward ancestors of the Vietnamese. In the early 17th century, a group of Japanese businessmen built a bridge across a small branch of the Thu Bon river in the style of Vietnamese architecture. In 1653, a small pagoda was built right on the bridge. This is where it got its name Chua Cau (chua means pagoda, cau means bridge). The pagoda worships Bac De Tran Vo, who is the God of the land, gifting happiness to the locals. Above the main door, there is a sign written in traditional Chinese: Lai Vien Kieu, which means the bridge of visitors, by Lord Nguyen Phuc Chu. 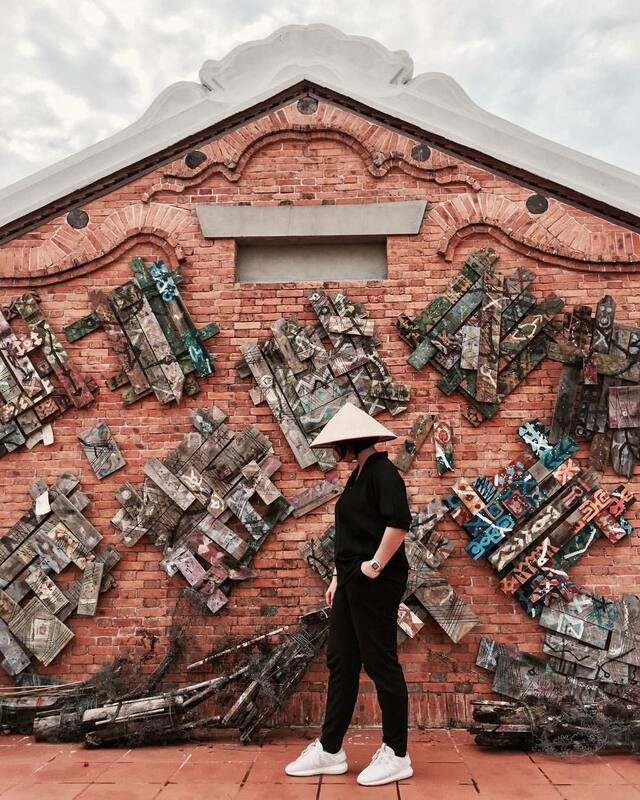 Chua Cau is the symbol of Hoi An city and it’s also the symbol of Vietnamese architecture. 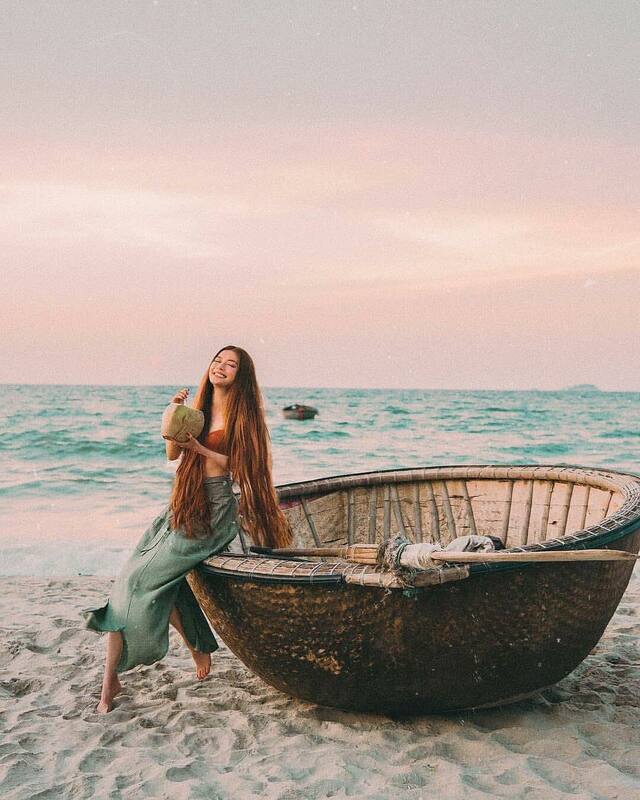 Address: Chua Cau is the connection of Tran Phu street and Nguyen Thi Minh Khai street, Hoi An ancient town. 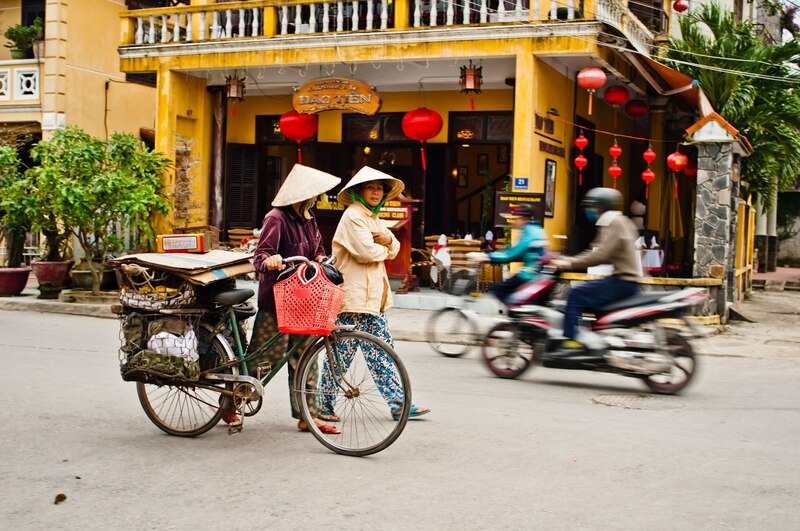 In the 15th century, many Chinese people immigrated to Vietnam and settled down in Hoi An. 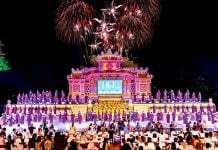 After some time, they wanted to gather their countrymen, so they built assembly halls with the name of their hometown to worship ancestors and support one another when living in a new home. They brought the traditional architecture of the Chinese as well as their beliefs. These assembly halls also act as temples to worship Chinese gods. So far, most of them still remain with their original architecture. During big festivals such as the lantern festival (January 15th of the Lunar calendar), these halls celebrate many interesting activities, attracting many locals and visitors. 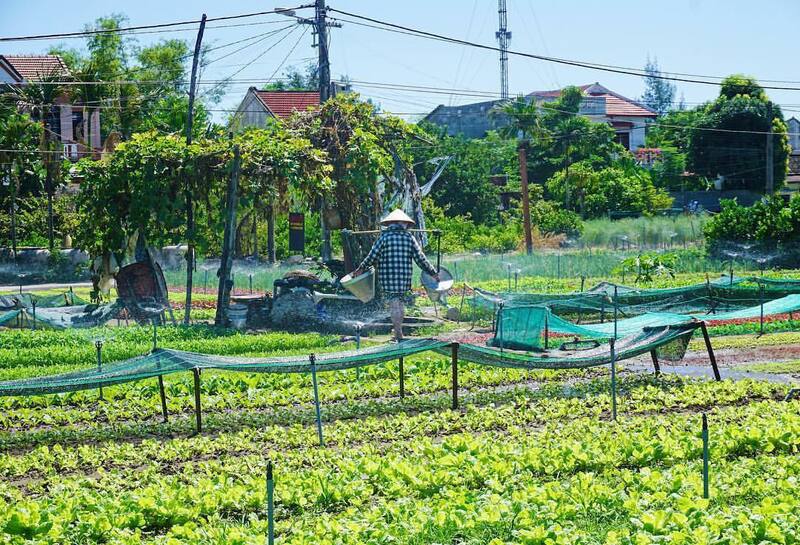 All over Vietnam, there are many vegetable villages, but only Tra Que has its name on the list of must-visit villages. Tra Que has just a small area of 20 hectares, with more than 40 plants, but the taste of vegetables in Tra Que is very different from other villages. The reason may be the rich deposit of alluvial and biological fertilizer of riverweed from Co Co river. The vegetables harvested in Tra Que are completely clean and fresh because farms follow new techniques in vegetable production. 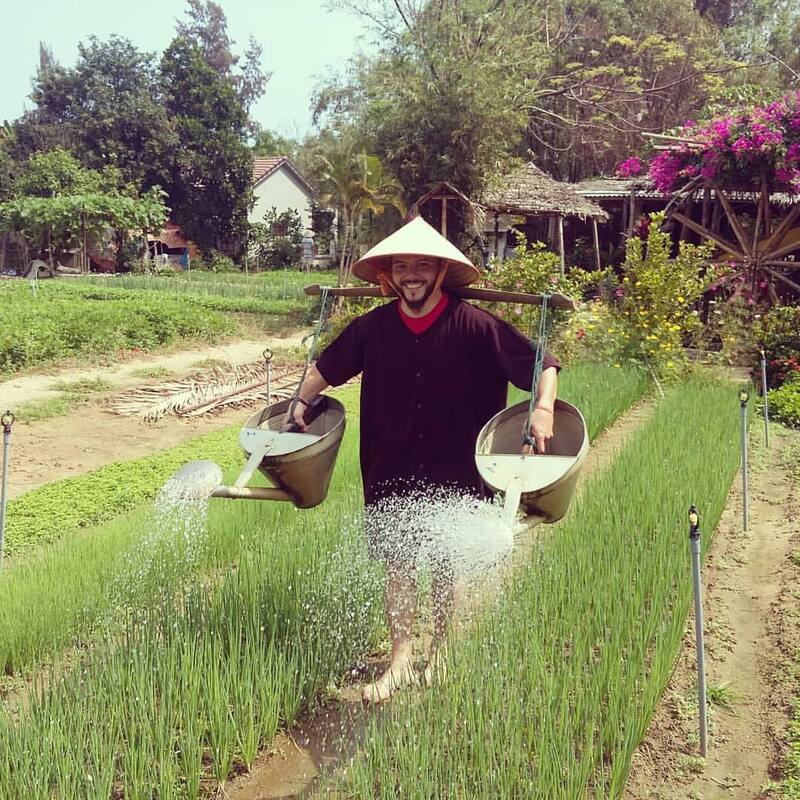 Visit Tra Que, become a farmer, take care of plants, and enjoy the food made from the most delicious vegetables in Vietnam. Located along Thu Bon river, Thanh ha pottery village is more than 500 years old. This village was very famous in the past for its artistic and subtle potteries that the kings of the Nguyen Dynasty recognized as the national symbols. During the 17th and 18th centuries, Thanh Ha village became famous because everyone preferred pottery in their homes, from vases, teapots, bowls, to even the roof. 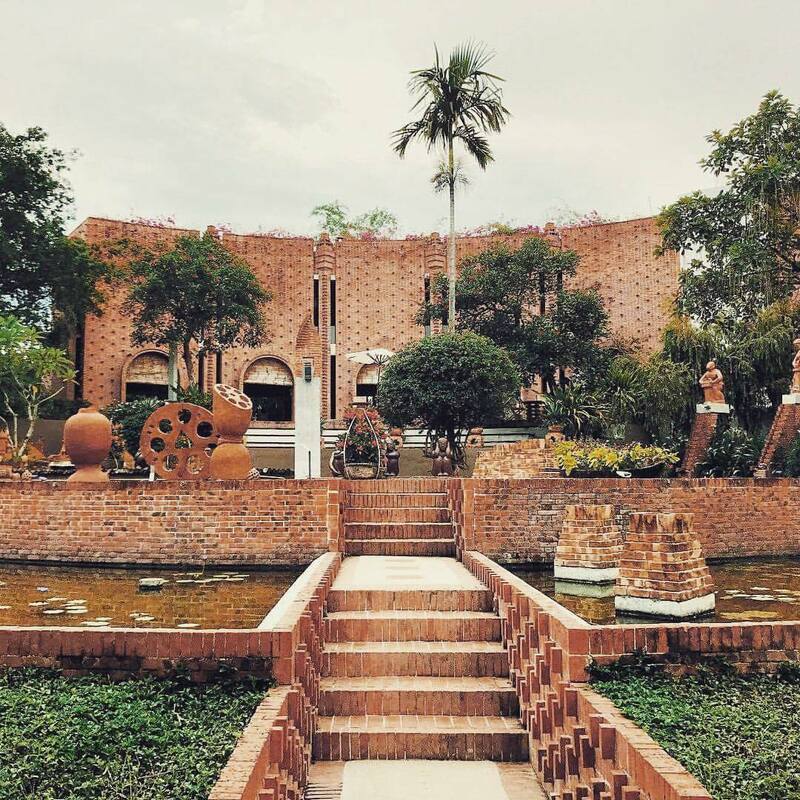 When you visit Thanh Ha village, you should visit Thanh Ha pottery park, in which gathers the world’s heritage pottery. As I mentioned above, Kim Bong carpenters built the ancient houses of Hoi An. 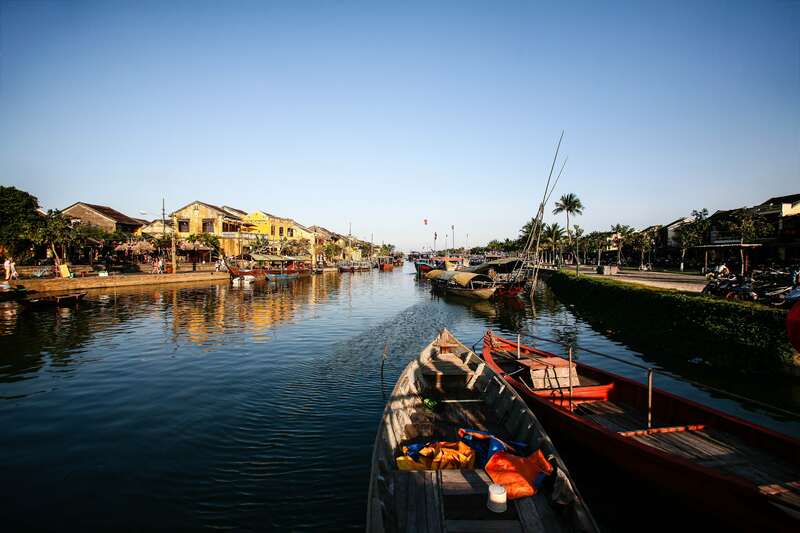 This village established in the 15th century, developed during the 16th and 17th centuries along with the flourishing Hoi An port. Besides house construction, Kim Bong village was also famous for building boats and wood art. When you visit Kim Bong village, you can ride a bike around the village and observe the daily life of the locals and watch how they make a living. Why don’t you buy your friends and family a gift from Kim Bong village made by our clever carpenters? Hoi An has two very well-known beaches that attract tons of visitors every year. Cua Dai beach is loved for its emerald-blue sea water and long white sandbank, which are surrounded by the tall green coconut trees. You can also enjoy the tasty seafood at many restaurants along the beach. Different from Cua Dai beach, An Bang beach has clear and light blue sea water, and it’s surrounded by many beefwood trees. An Bang beach used to be one of the 25 most beautiful beaches in the world rated by TripAdvisor. 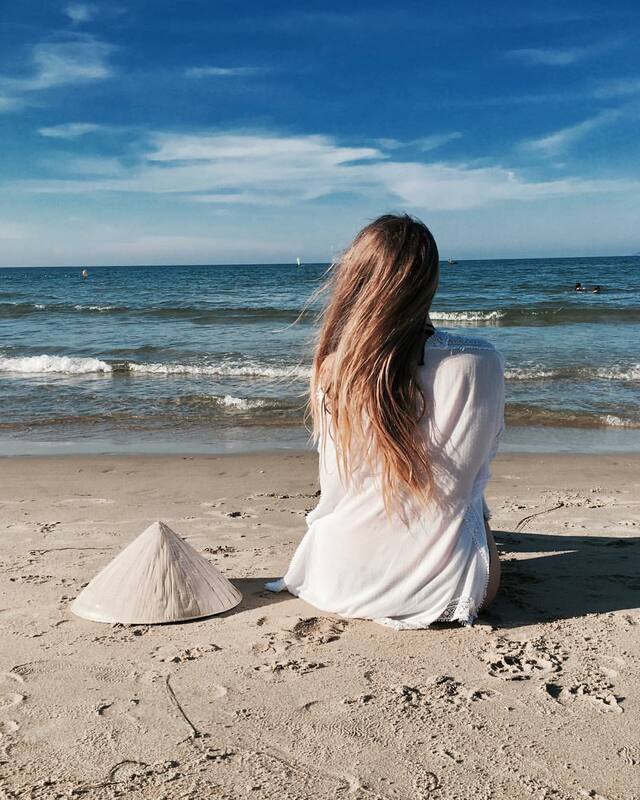 Moreover, in 2013 CNN reviewed An Bang as one of the top 100 most charming beaches in the world. Although this beach is frequented by many travelers, it’s really peaceful. Cu Lao Cham or Cham islands is a set of eight offshore islands near Hoi An. This is also a famous tourist attraction. Cham islands offers you the chance to dive deep into the sea and admire the coral reefs. In addition, there are many historical heritage sites on these islands waiting for you to explore. To get details about the Cham islands, please visit this article: Guide to Visiting Cham Island. Hoi An at night is beautiful in a peaceful way, with glittering lanterns illuminating the ancient town set against the serene countryside. 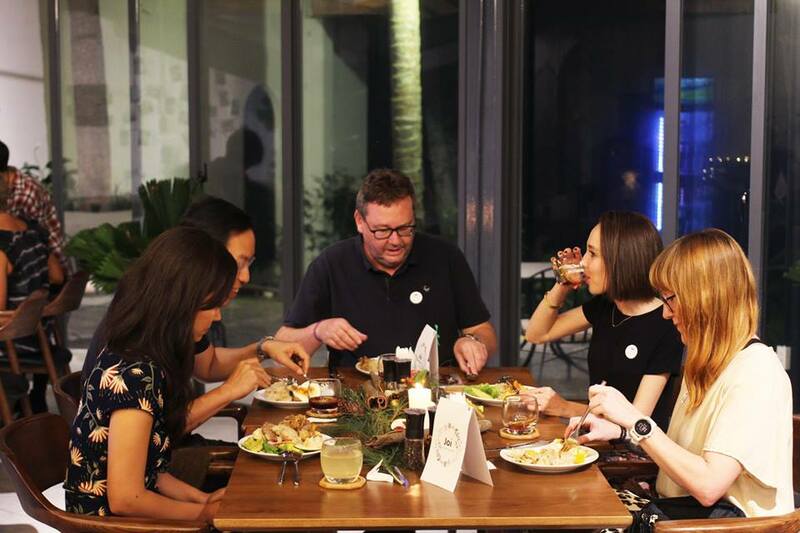 In Vietnam, dinner is an important meal because families gather around the table to enjoy a cozy meal. Why don’t you try stopping by a Vietnamese restaurant to enjoy a wonderful dinner with your family and friends? 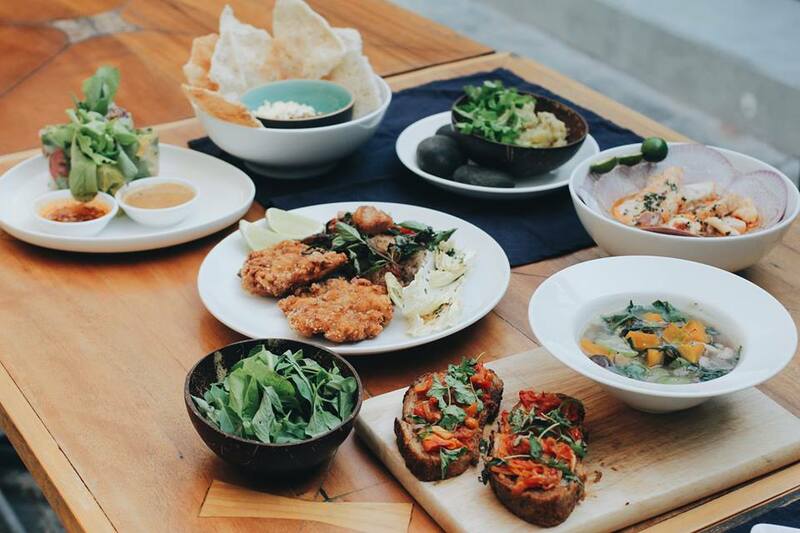 Head over to Joi | Tra Que Gardens to enjoy some deliciously healthy delicacies, by the beautiful De Vong River. You may even catch a glimpse of fishermen. The restaurant’s location is right by the Tra Que village, so you will be rewarded by a peaceful sight. There is even a lagoon to walk around within the premises. Joi Tra Que has a mission to help you experience the most authentic Vietnamese dining. In Joi Tra Que, we have a team of talented chefs who cook excellent dishes. The main ingredients are taken directly from the Tra Que organic vegetable garden. As a large family, we make it our priority to make your experience the best one. 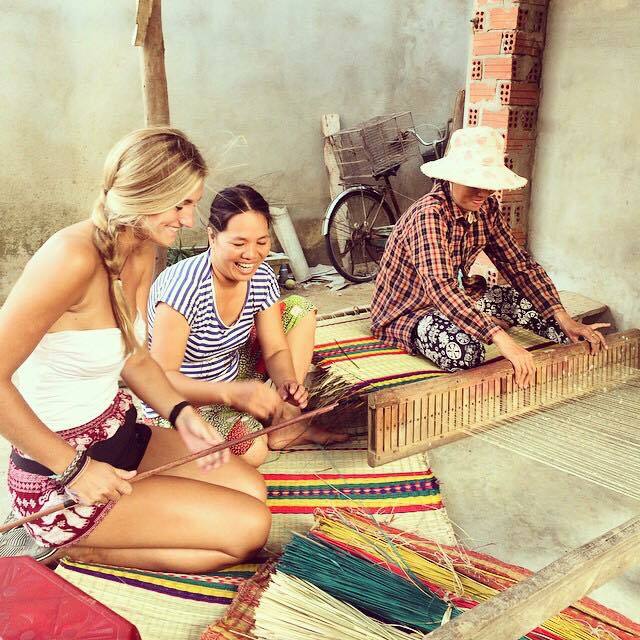 Join Joi’s family at: Group 6, Tra Que Village, Cam Ha Ward, Hoi An, Quang Nam. 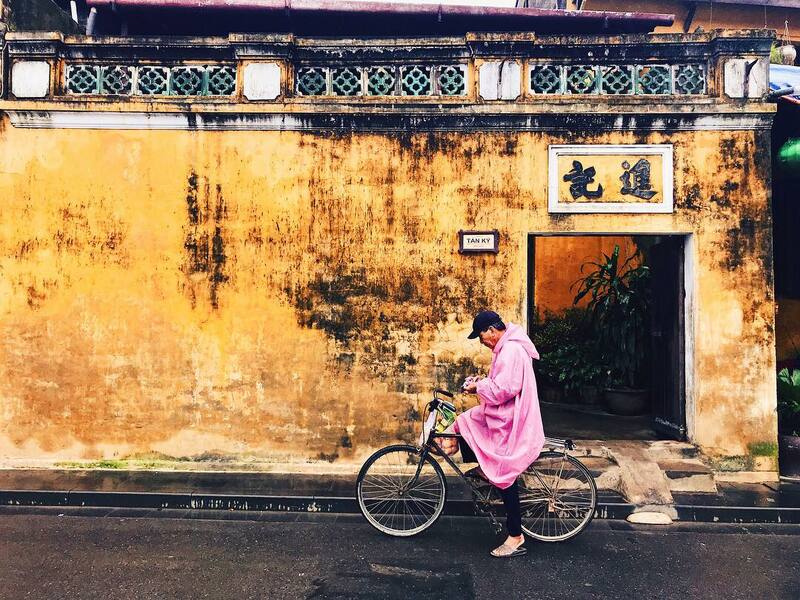 Hoi An has all the means of transportation, but the best way to enjoy the beauty of this city is on foot, by cyclo, or by bicycle. You will feel the slow pace of life of the people in this ancient town as well as observe the old beauty. Even though Hoi An ancient town attracts many travelers from every corner of the world, there is always something that makes you want to take it easy and slow down. Obviously, walking around the ancient town is the most economic method because you don’t have to pay for anything except for the entrance fee. Bicycle is the most ideal way to discover the ancient town: it does not cost too much, you can go and stop wherever you want, and you can explore the many alleys without getting tired. Most of the accommodations in the area offer bicycles for rent with the price of just about 40,000 VND per day, some even let you use them for free. Cyclo (xich lo in Vietnamese) is our special means of transportation and you can hire a cyclo, relax, and let the driver take you around the ancient town. 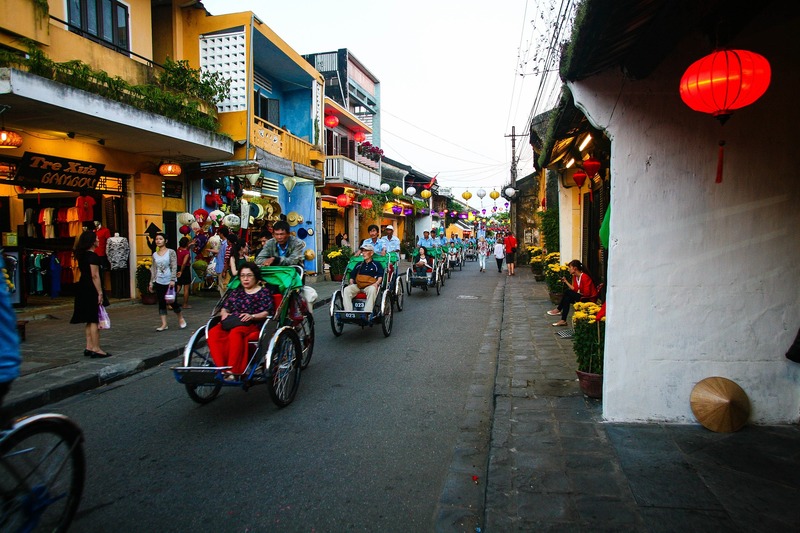 This is the most comfortable way to visit Hoi An. 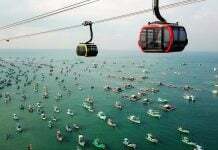 The price is about 150,000 VND for a tour around town. Sitting in a coffee shop, sipping your coffee, and watching the flow of people in the ancient town is a great experience in Hoi An. Hiding among the old houses of Hoi An are well-designed coffee shops comfortable in their old architecture and decoration. 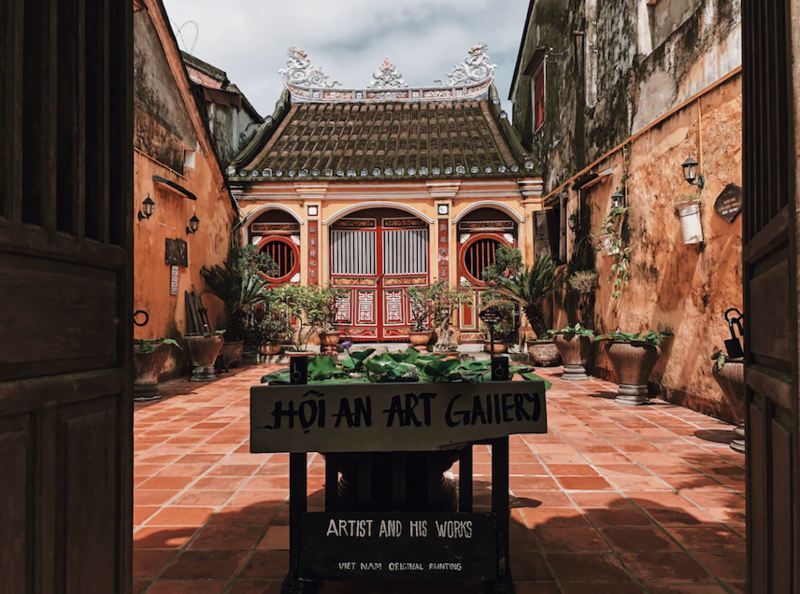 The difference between coffee shops in Hoi An and in other places is that Hoi An’s coffee shops give you the feeling of enjoying coffee in the 19th century. We have collected the best cafes in Hoi An in this article, so choose one that sounds the most appealing and go relax. Apart from walking, cycling, and kicking back in a cyclo, there is another means of transportation to explore the ancient town, which is on a boat. Local ferryman navigates the waters themselves, so you won’t hear the noise of an engine. As you observe the Hoai river, you can admire the ancient town with its old houses on the river bank. Try this in the evening, when Hoi An lights up with its characteristic yellow glow from the locally-made lanterns. On the 14th of each Lunar calendar month, you will have the chance to release flower garlands and colored lanterns on Hoai river. 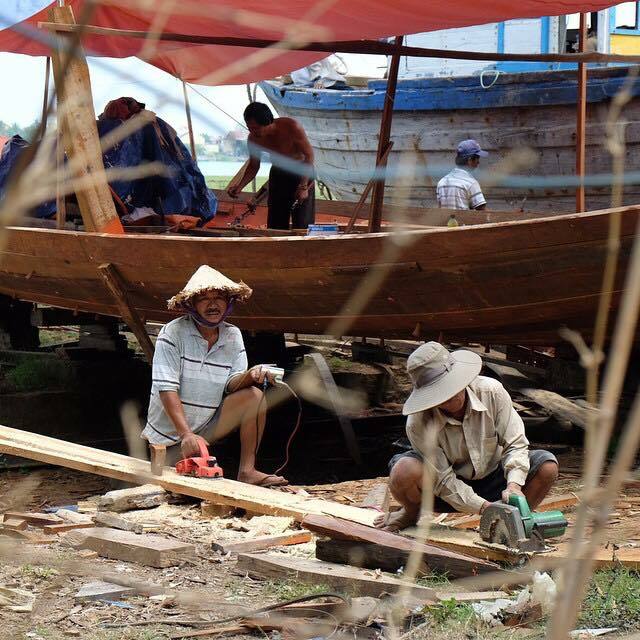 The price for each boat trip is about 50,000 – 100,000 VND. 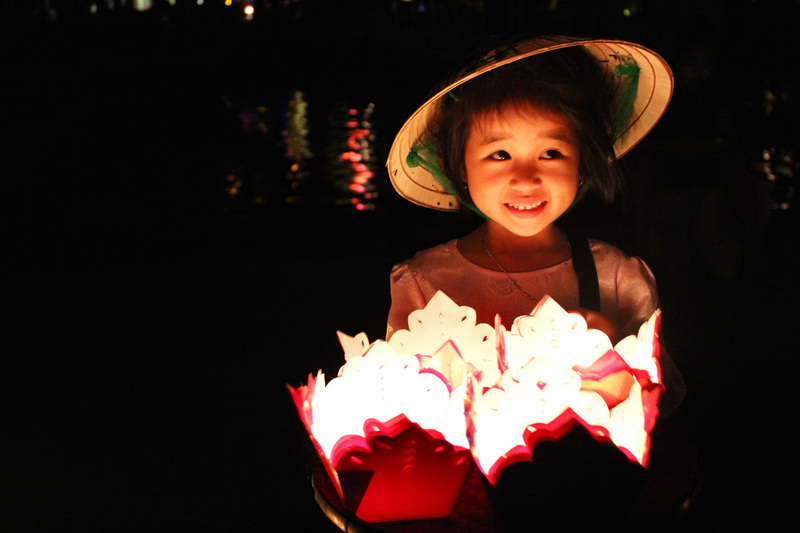 Every 14th of the Lunar month, there is a lantern festival in Hoi An ancient town. Locals will turn off the electric lights and hang up the colored lanterns that illuminate the whole Hoi An ancient town. The festival usually starts at 6 PM and goes until 9 or 10 PM. The most active area is around Chua Cau, which attracts both locals and travelers. Hoi An during the day is pretty, but Hoi An at night is magical. Under the bright moonlight and sparkling lanterns, the town lights up like a surreal paradise. Although this place is packed with travelers, its ambience remains unbelievably calm, gentle, and soothing. If you are seeking something to nibble, head to Hoi An night market right away. This is truly a foodie heaven where you can easily grab some local snacks such as Vietnamese pizza, spring rolls, shrimp batter, and if you dare, try grilled frogs! Nearby are some shops selling lanterns, and I really recommend bringing one home with you.